The stock market opened last Monday with lots of promise. The Spyder Trust (SPY) opened at $280.28, which was 1.7% above Friday’s close at $275.65. 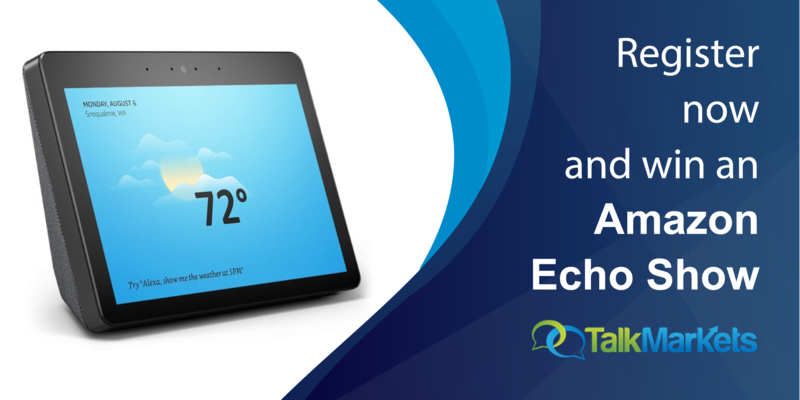 It peaked in the first 30 minutes to close the day at $279.30. Stocks opened a bit lower on Tuesday, but then President Trump tweeted “I am a Tariff Man”, which helped trigger a massive 3.24% decline in the S&P. It made me fondly remember the days when the White House and their advisors understood that their comments could impact the markets, and accordingly issued “no comment”. The behavior of this administration is, I believe, increasing the instability in the financial markets. As pointed out in Reuters, some financial professionals have become more skeptical. As reported, JPMorgan advised its clients that “It doesn’t seem like anything was actually agreed to at the dinner” and that President Trump's claims on Twitter “seem if not completely fabricated then grossly exaggerated”. It is impossible to say whether the stock markets would have closed higher last week without the administration’s contradictory comments, but those conditions certainly did not help. The Dow Jones Transportation Average led the decline, down just over 8%, followed by a 5.56% drop in the Russell 2000. The Nasdaq 100, S&P 500, and Dow Industrials were all down well over 4% for the week. Only the Nasdaq 100 and Dow Jones Utility Average are now higher YTD. Many of those who think we are now in a bear market point to the declines in the Dow Jones Transportation Average and the small-cap Russell 2000. 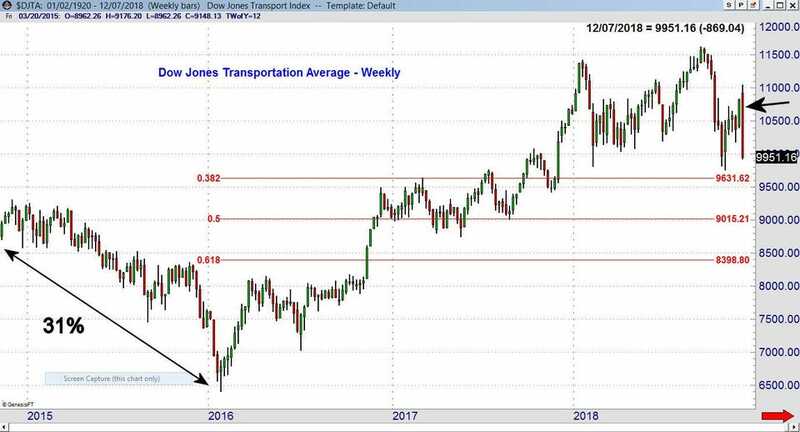 The weekly chart of the Dow Jones Transportation Average shows a very wide reversal pattern (see arrow). The Transports traded above the prior seven-week high and then closed below the prior five-week low. Similar formations were evident in most of the major averages. These reversal patterns are extreme from a historical perspective. The chart also shows the 31% decline in 2015-2016, which did not end the bull market. The close last week was above the early November low of 9757, which was just below the February 9 low of 9809. At 9757, the Transports were down 16% from the all-time high of 11,623. The 38.2% Fibonacci support (calculated from the February 2016 low) is at 9613, which is 3.4% below Friday’s close. There is also a band of support below 9500 with the 50% retracement support at 9015.